Established in 1987, Domaine Drouhin Oregon is owned by famed Burgundy producer, Maison Joseph Drouhin. Hand-crafted by fourth generation winemaker, Veronique Drouhin-Boss, the distinctive Pinot Noirs and Chardonnays of Domaine Drouhin are prized for their elegance, balance and finesse, as well as their ability to age. Philippe Drouhin, Veronique's brother, is in charge of viticulture and has earned an international reputation for his work both in Burgundy and Oregon. Ninety acres of the 225-acre estate are now planted, with over 3100 vines per acre. 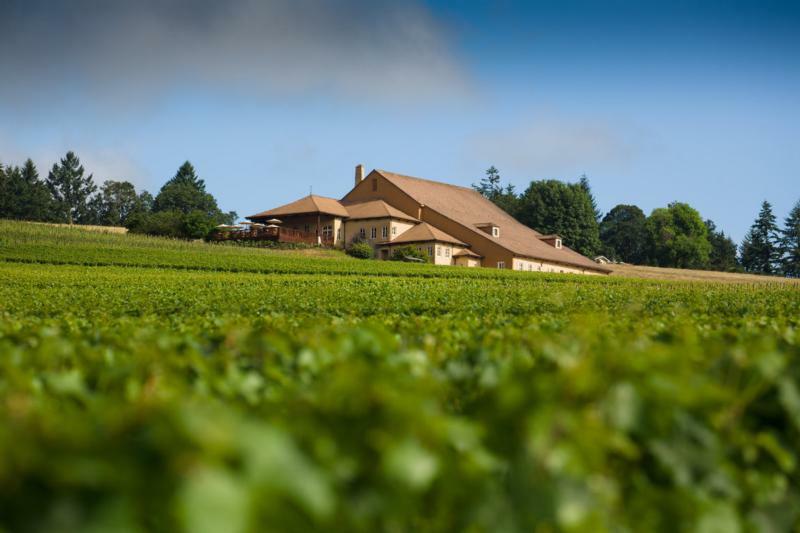 Domaine Drouhin Oregon's landmark 4-level gravity flow winery is nestled into the heart of the Dundee Hills. Wine & Spirits 91"This spicy pinot has a dark soil-like note to accent its finely wrought strawberry fruit. The tension between fruit and savor, and the pleasing tartness of the vintage makes this a good choice for duck confit." Wine Advocate 91 "The Drouhins’ self-described “classique” 2009 Pinot Noir delivers a yet sappier, sweeter fruit – principally cherry and black raspberry – than its 2010 counterpart. The typical textural refinement of a Domaine Drouhin wine is evident, here allied to a quite cuddly plushness.